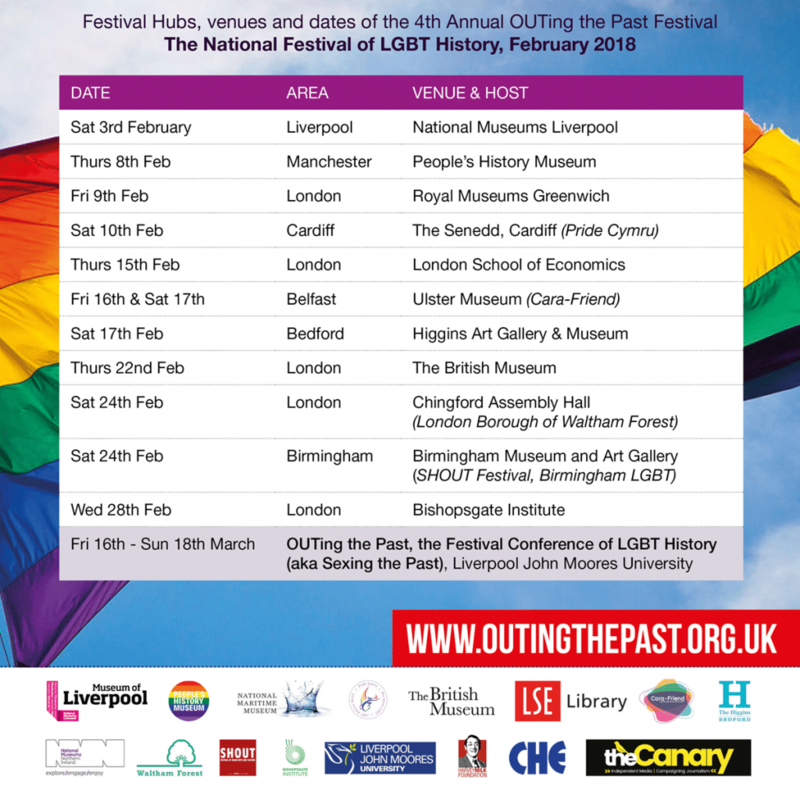 This February, the National Festival of Lesbian, Gay, Bisexual & Trans History will return bringing a host of nationwide events on the topic of LGBT history and celebration – promoting equality and diversity for the benefit of the public. The theme of this year’s festival is titled Geography: Mapping the World; commemorating the 30th anniversary of the passing of Section 28, which prohibited local authorities from disseminating materials that ‘promoted homosexuality’ in schools; and the fortieth anniversary of the murder by shooting of Harvey Milk, the USA’s first out-gay elected councillor. This year also marks 40 years since the rainbow flag was launched upon an unsuspecting public in 1978, although sadly its creator Gilbert Baker passed away last year, and the 20th anniversary of Sarah Waters’ classic, Tipping the Velvet. A full list of events can be found in the calendar below and for more information head to www.lgbthistorymonth.org.uk or www.outingthepast.org.uk.